It is certainly not the first time we have shared a story about a lone female cab driver or a female-targeted cab company looking to serve the women in a certain country in order to break gender stereotypes and ensure public safety. We’ve seen this happen in Pakistan and in parts of India, where harassment and gender violence are very real and consistent problems. In patriarchal societies where it is not common for women to be afforded equal rights or be allowed to operate in public spaces the same way as men, seeing something like a female-run cab company is like a spark lighting the match of revolution made up of women who are fed up and want equality. Well now there is another country that can be added to the list: Palestine. It is a country that is in political and military conflict with Israel and wherever this kind of strife exists between neighboring countries, it can have a damaging effect on the economy, families and opportunities. One woman has decided she is not going to wait around for the world to change, instead she changing her own world and is determined to bring about a gender equality revolution in the nation. 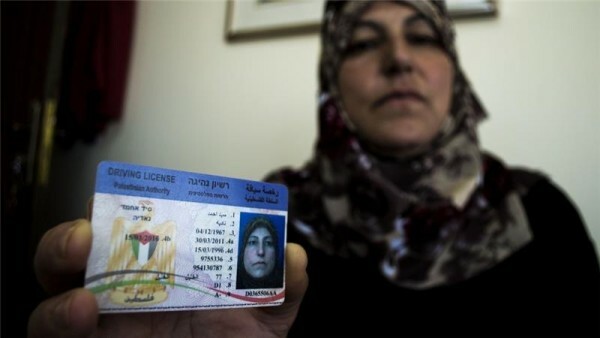 Nadia Ahmad is based out of Hebron, in the West Bank, and is said to be the only female cab driver known to exist in Palestine. She did not intend to make any sort of political statement with her occupation, but has become an interesting topic of conversation in her community. 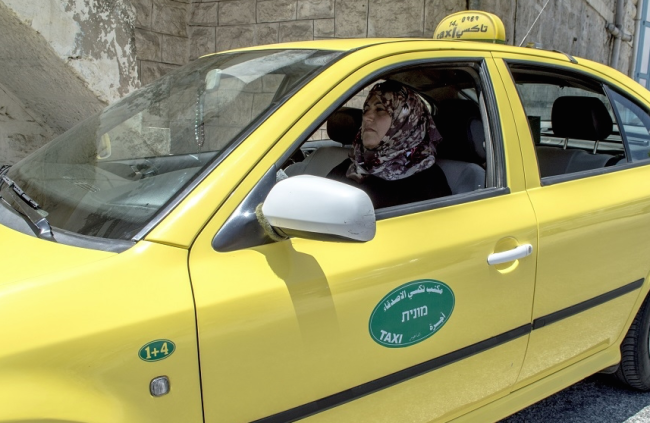 According to a report by Al Jazeera, Nadia has been obsessed with cars since she was a little girl, and for the past two years has been driving her taxi through the streets of Hebron. Although she is part of a conservative culture where women make up a fifth of the workforce and mostly in “feminine” jobs such as cleaning, nursing or teaching, Nadia stands out from the crowd. She is somewhat of an anomaly because her husband, a university IT professor, supports her profession, but others in her community do not. “In the beginning, there was a lot of gossip. When my brother heard other drivers talking about me, about ‘that woman who drives a taxi’, he came home and was furious and demanded I stop at once,” she told Al Jazeera. Nadia grew up watching her cousins work on cars, and now she knows how to fix her own. Her daughter has followed in her footsteps and has obtained a taxi license. Nadia plans on starting her own female-run fleet over the next few years catering to women’s specific needs. She says her company will enable women to request the taxi by phone, to prevent them from having to stand on a street and flag one down, and they will also offer child seats upon request, something which regular taxis do not offer. She may not be far off from her dream because she has already managed to convince 6 other women to obtain a taxi license by passing a test, however these particular women have been prevented from driving due to family pressure. Nadia believes that her female-run taxi fleet will enable more women to gain employment in the future so that women like the six she convinced won’t be pressured into abandoning a job opportunity due to cultural reasons. Nadia has already lodged an application to the government in order to get a business license to make her plans come to fruition, and so far there hasn’t been any push back because she is a woman. “We do not discriminate upon gender. Man, woman, whatever – there are standard procedural steps that have to be taken, that’s all,” said a male representative from the Ministry of Transportation adding that she would only need to meet the requirements for office space, insurance, licensed cars and drivers, and start-up cash. Nadia also has the support of local non-profit called The Roles for Social Change Association (ADWAR), which exists to raise funds for projects that will help close the gender gap in Palestine. Once Nadia has her business license and has a few more women on board, ADWAR will begin to raise money for her. In June 2o15m they recognized her already ground-breaking work with their Roles for Social Change Award because they believe she is breaking societal stereotypes and is a positive role model to many other women. Her story is being hailed as an important marker for Palestinian women that change is slowly happening, but she is not alone in her journey of taking back the streets for women. You may already be familiar with the Speed Sisters, a group of Palestinian race car drivers who are tackling gender stereotypes not only in the sport, but also in the Middle East. Their story has become the subject of a feature-length documentary titled ‘Speed Sisters’ which has been played at various film festivals. “It’s not easy, but these women are opening doors for other women to start work – not just in general, but in fields previously impossible. We will look back and see [that] these women who made the first jump into ‘male’ fields helped push us towards equality,” said Nahid Abu Taima, a professor who teaches a course on feminism in the media at Birzeit University. It is a trend we are excited to see more of, and it surely is happening around the world. 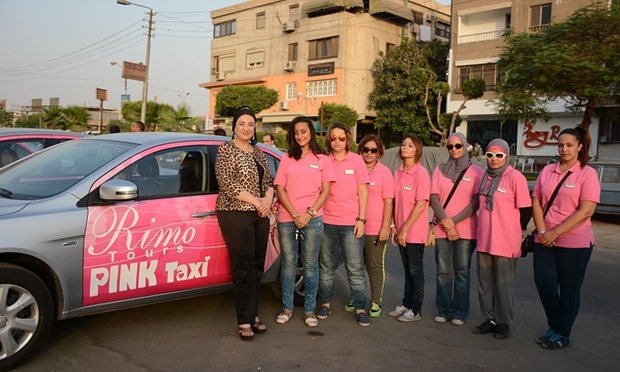 Not too long ago, an all-female taxi company was launched in Cairo, Egypt, called Pink Taxi. It was started by Reem Fawzi, a woman who has told the local press that she wanted a way for women to have access to daily mobility without fear of harassment or whether they will be safe or not. The fleet consists only of female drivers, and naturally they only drive women around the city. Reem’s service can only be ordered by phone, and each passenger must send in a scan of their ID to also ensure the safety of the driver in advance. Each cab contains a microphone and camera to record everything that happens. Sound like extreme measures? No really, when you consider 99.3% of women in Egypt fall victim to sexual harassment according to the United Nations. Unfortunately Pink Taxi has already drawn criticism, and from women’s rights groups no less, who say their prices are too high and that their existence is a statement to women that “harassment is inevitable”. According to the Guardian, some believe the Pink Taxi’s subtly tell women that they can’t be in public without needing special protection, as not all women have had bad experiences in regular taxis. No woman wants to be seen as a victim, and we understand the concerns and criticisms of the public image a company like Pink Taxi is perceived to portray, but for the many women who have been subjected to humiliation, harassment and worse, we believe Pink Taxi is is a vital part of the change occurring. The bottom line is things need to change for many women in countries like Egypt, Palestine and others in the developing world, and while it could be easy to criticize the efforts of one company, it is far more important to do something positive in order to make gender equality a reality. As the political conflict continues in Palestine, women like Nadia Ahmad are a bright spark amidst a troubling period, giving hope to women around her that they can be part of a revolution.